At MATTER, we’re on a mission to find solutions for some of today’s greatest global challenges in health, nutrition and education. As described in last week’s blog, the MATTER Innovation Hub (MIH), deploying here in the U.S. and around the world, trains students to meet the challenges they will face in an increasingly technologically dependent world and giving them a chance to improve their lives regardless of where they live. 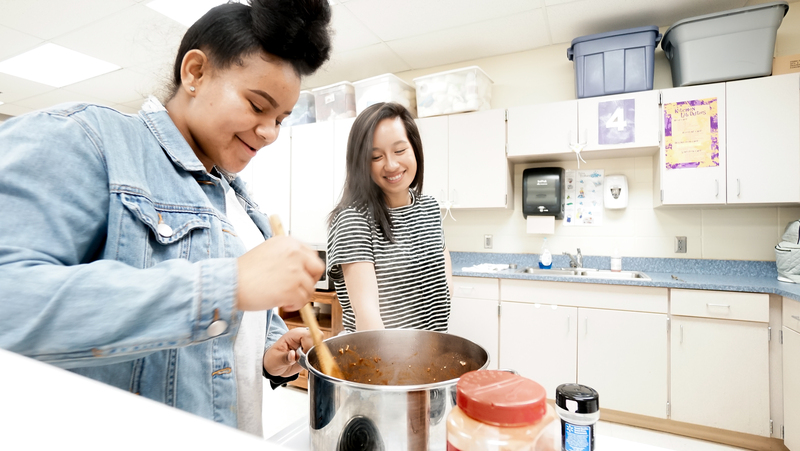 Using the same innovative effort that spurred the creation of the MIH, MATTER proactively seeks to address the challenge of educating and empowering today’s youth on the importance of health and nutrition. Leading health experts and researchers publicly express concern about the health of today’s children. Rising rates of obesity due to unhealthy eating habits and physical inactivity have some experts warning that today’s generation may have a shorter life expectancy than their parents. MATTER strives to meet this challenge by inspiring the next generation to think differently about food and equips them with the knowledge and tools they need to make healthy choices. The healthy cooking classes developed in collaboration with Boston Scientific, 21st Century Community Learning Centers and Timber Bay Mentors, using MATTERbox recipes and ingredients, engage students with hands-on learning opportunities, making health and nutrition fun, practical and easy to incorporate into their lives. 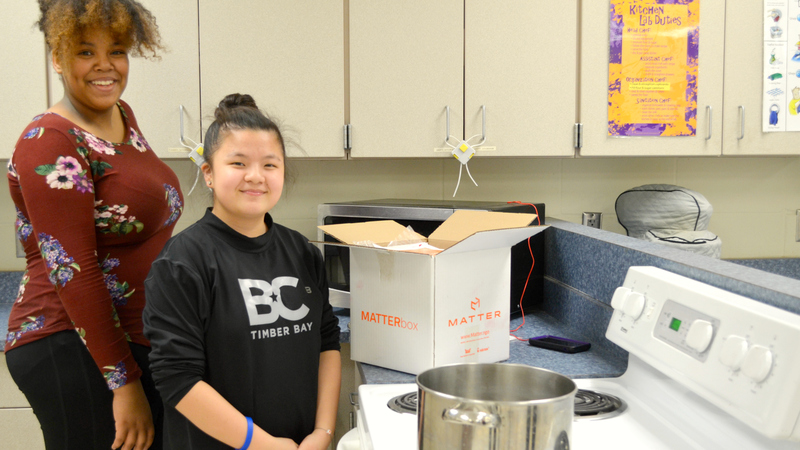 Over the next three years, MATTER plans to expand the program by developing new products and recipes, creating the curriculum for students and trainers, introducing portable cooking stations, offering ethnically diverse MATTERboxes and establishing national partners to implement these classes in a variety of schools and community settings. 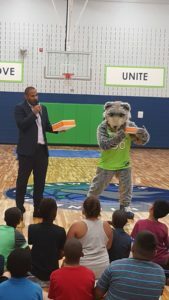 Tony Sanneh and Timberwolves mascot, Crunch, introducing kids to the MATTERbox. In addition, MATTER intends to expand its collaboration with youth programs and sports camps across the country, as well as develop more partnerships with pro athletes to be healthy eating ambassadors. 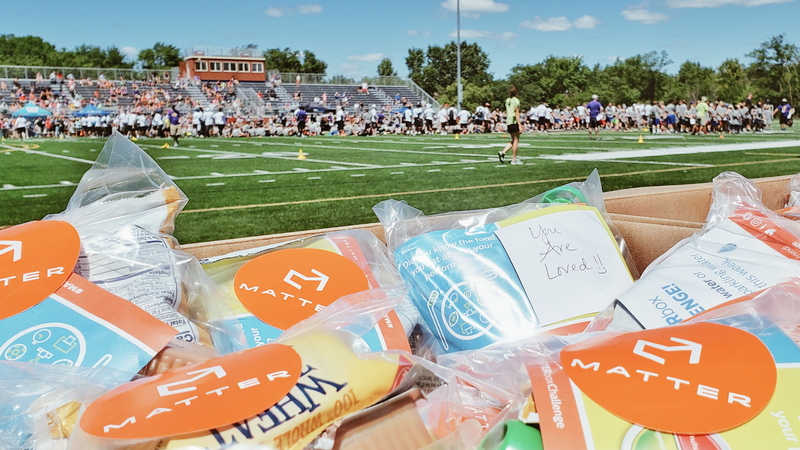 Our MATTERbox snack packs, filled with healthy food and nutrition education, offer an easy way to help children understand the vital connection between nutrition and performance. 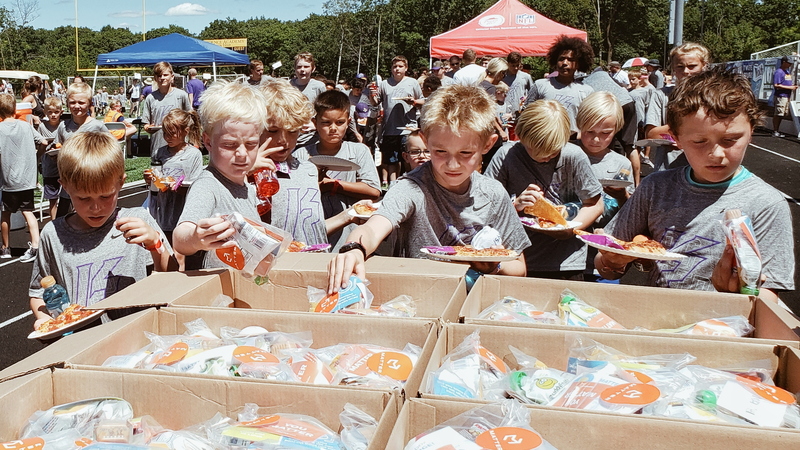 When leading athletes use MATTERbox snack packs at their camps, kids get excited about eating the food that will increase how well they do both on and off the field. Health and wellness is certainly important to The Sanneh Foundation, one of our community partners working with children and youth. 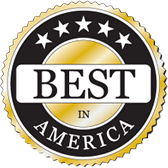 In fact, it’s one of their primary missions along with education and community building. But sometimes the needs of the kids they work with are more immediate. MATTER will continue to strive to meet the many health challenges facing our youth today. 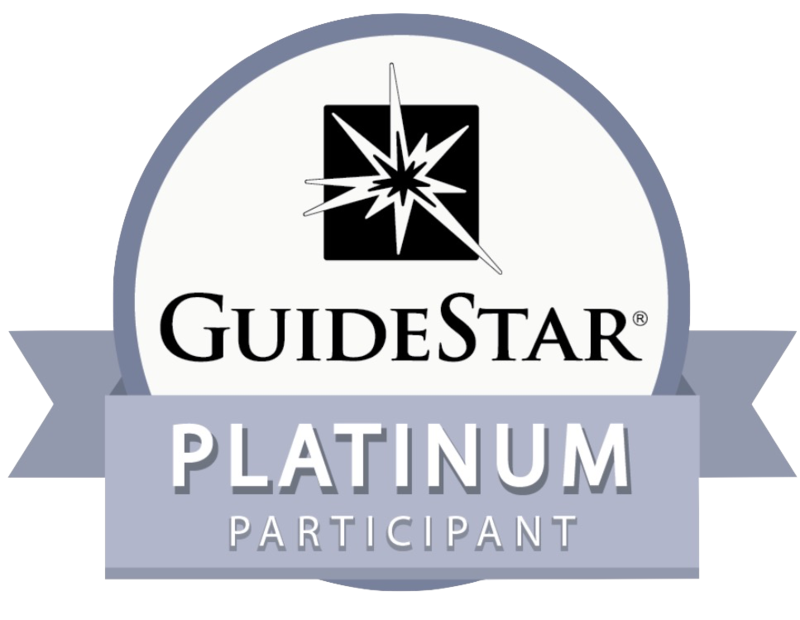 We’re grateful to all our community partners and supporters who share this mission and collaborate with us for change. Together, we will find solutions to these challenges. Together, we will create a healthier world where everyone can thrive!